Culture Shock is defined as the feeling or perception of being in a place whose customs are far removed from those experienced at home. Reading up on a country prior to departure can do much to reduce the severity of the shock. The textual nature of travel guidebooks, absorbed with the eye, ensures for a visual glimpse into a country. And yet, visual readings of place cannot prepare the visitor’s ear for shock of the urban soundscape. This was true of my own acoustic experience of China: a cultural shock to the ear that no guidebook can prepare the visitor for. As a 24-year-old British language graduate, I went to China to discover the Orient. My knowledge of this culture was very much informed by what I had seen on television, particularly the BBC travel documentary Around the World in 80 Days. 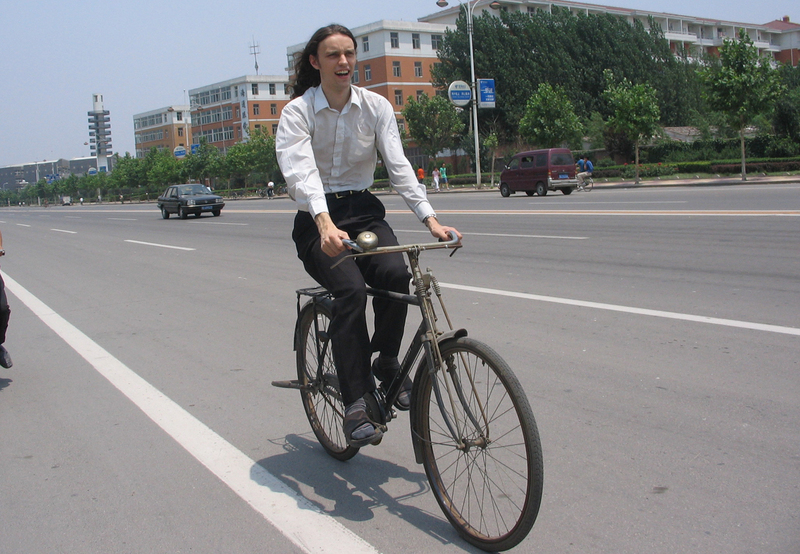 The footage of China is still fresh in my mind: the masses of bicycles in Shanghai, the multitude of people in Beijing and the quiet hum of street activity in Guangzhou. Commentary of Chinese street life was accompanied by the documentary theme tune, one that was remastered into a quintessential Chinese sound with the Chinese harp and the bamboo flute. This was my acoustic perception of China before departure. My first port of call was Beijing. Unlike the conventional traveller, I took the train from Moscow to Beijing. Getting off the train at Beijing’s Main Station soon collapses the acoustic myth of the Chinese soundscape being defined by sounds similar to the ones in the documentary. The acoustic tempo and pitch were much speedier and harsher than on the documentary. On arrival, the sound of a multitude of people’s footsteps rustling across the station platforms, luggage trolleys rolling across gangways, thousands of voices speaking a four-tone language landed on my acoustic organ with an immediacy and penetration that was shocked the ear. The soundscape of Beijing, just like its visual landscape equivalent, had undergone rapid transformation between the BBC documentary of the 1980s and my arrival in 2004. A mass expansion of the transportation network ensured that it was not the bicycle bell that governed the soundscape of Beijing’s streets, but the high-pitched car horns. 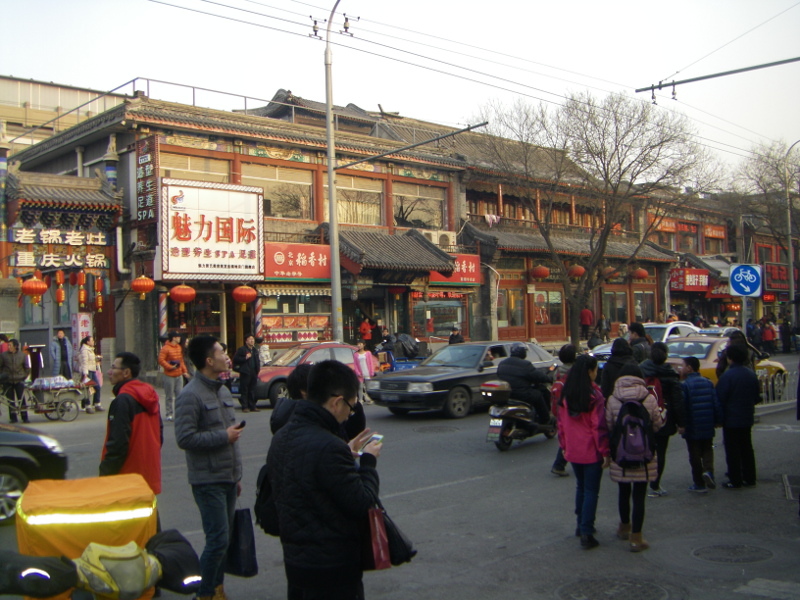 But the car horn is not just an acoustic hallmark of the Chinese capital; it dominated the soundscape, perhaps to a greater degree, at my next and final destination: Handan in the Hebei province. On arrival into Handan, a city of then eight million people, the soundscape came across as much more disorganized and chaotic than Beijing, not least because it was concentrated on a more condensed space. Sounds of cars, buses, motorbike engines; radios, loudspeakers, announcements and raised voices; the verbal shouts of salesmen, taxi drivers and random pedestrians blended together to give me my first acoustic impression of Handan: a concentrated loud din that was a far cry from the somewhat assonant musical backdrop of the BBC documentary. Being new to me, this Handan soundscape was exciting yet exhausting. What made it even more exciting was the ability to surprise and shock, at the most random times in the most random places. Early morning risers in Handan are confronted with an incredible sight: the enthusiastic elderly out in force for their morning exercises. Whether it be Tai Chi in Congtai Park or the coordinated street dancing of old women to pre-recorded music―the sounds generated would project peace and tranquillity in the middle of the city yet to rise for its daily work. It is still possible at this time of the morning to hear the natural tones of birds and the constant buzz of insects in Handan. This brief early morning acoustic calm soon gives way to the cacophony of business and school traffic around 6am. The start of the school year in Handan is accompanied by the sound of pre-recorded revolutionary Chinese patriotic military music. This music blares out from schools’ loudspeaker systems. Not stopping at the confines of the school gates, it penetrates out into the local community. The school year is acoustically announced patriotically to the local neighbourhood. From my apartment, I would watch parents arrive with their Primary school-aged children, walking to the moderately quick tempo of the military music. Despite its ear-splitting volume, the tempo acts as a kind of crowd control to ensure that the flow of the new intake occurs at a pace with which the school’s capacity can cope. It is not just the ushering-in of a new academic year that is heard as much as seen. Ceremonial inaugurations in Handan shock the ear. 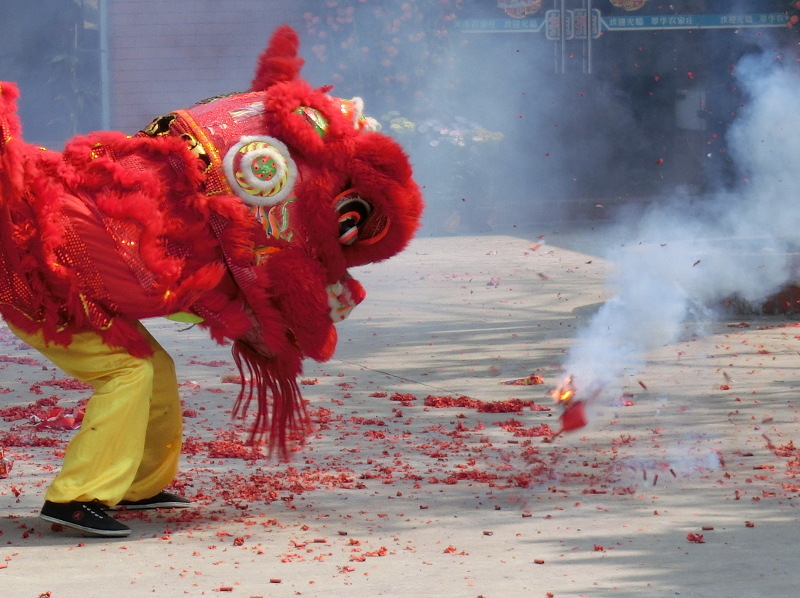 Whilst it is customary in Western cultures to quietly cut a ribbon, the Chinese hold true to the belief that noise can ward off evil spirits. Ear-splitting, explosive devices painted in red for good luck are ignited. Letting off fireworks does not just signal the opening of something new, but it wishes it well. A typical grand opening would be set to quick successive acoustic bangs, booms and crashes, ones that my ear eventually heard as a sonic whole. This acoustic phenomenon has an interesting effect: it cuts through the mundane, everyday soundscape, announcing the arrival of something new to the city. It is not all noise, though. The soundscape of Handan is dominated by the sounds of Chinese voices. A walk along Renmin East Rd in Handan, a central city street housing banks, government departments and a mosque, confronted my ear with a range of Chinese accents. The standard Chinese known as Putonghua, the heavily accented countryside dialects of Handan’s rural immigrants and the Chinese of the Uyghurs landed on my untrained ear as acoustic shock. Yet, the ear adapts to the new acoustic environment. It did not take me all that long to make distinctions between ethnicity, status and background through different individuals’ verbal utterances. This, then, was a brief hear-back (as opposed to a look-back) of some of those distinctive sounds that formed part of the Handanese soundscape. Far from the theme tune on the BBC documentary that I thought was reminiscent of China, I came to find an urban acoustic environment richer, deeper and louder than I first imagined. It blended the noisy with the cacophonous, the human with the mechanical, the assonant with the dissonant. Booms, buzzes, crackles, hums, laughs, rings, shouts, scrapes, zooms―these were just some of the sounds that shocked and surprised my ear. Yet, as with every human organ, the ear attuned itself quickly to the new conditions and accepted them for what they are: aural stimuli without whose presence the experience of the city would be incomplete. This article first appeared in Global China Insights (Groningen: Groningen Confucius Institute), Nr. 1 (July 2013), p. 19–20.